Handmade Soap: Acne Cure from Regular Old Fashioned Lye Soap? 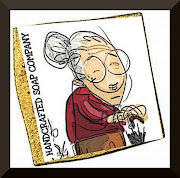 Buy Natural Handcrafted Soap Today! Acne Cure from Regular Old Fashioned Lye Soap? Acne, which is often called zits or pimples, is, according to the American Academy of Dermatology, the most common condition affecting the skin. Although anyone can get acne, it is most common in teenagers and young adults. Acne can have several causes. The major culprits are often inflammation, bacteria, oil and clogged pores. While those with severe acne should see a physician, many people can have an acne-free face by taking good care of their skin and actively preventing acne breakouts. Wash your face with a gentle Natural Hancrafted Soap twice per day. Do not scrub hard or rub vigorously, as this can actually make acne worse, according to Cornell University Health Services. Dry by carefully patting your face with a towel. Shampoo your hair daily if you tend to have oily hair. The American Academy of Dermatology states that this can help prevent acne by reducing the amount of oil from your hair that gets onto your skin. Use only cosmetics, sunscreens and lotions that do not contain pore-clogging oil to prevent acne. These will be labeled "non-comedogenic" or "non-acnegenic." The American Academy of Dermatology recommends removing all lotion or makeup every evening before you go to bed. Shield your face from irritating products that may cause acne. Cover your face before applying hairspray, and try to avoid places that may have grease in the air that could get onto your skin. Irritation from having your hair in your face can also exacerbate acne, so avoid this as well. Talk to your doctor about treating your acne with medication if the lifestyle changes above do not help. Some possibilities, according to the American Academy of Dermatology, may include topical treatments, antibiotics, birth control pills or steroid injections. How do Natural Handcrafted Soap compare with Dove? Acne - What Kind Of Soap Should You Use? Thanks for a great blog. I too make goat's milk and honey soap and coconut milk soap. I love the way the lather feel on my skin. It is also great to take off makeup. Follow My Blog Today ! Handmade soap 2017. Watermark theme. Powered by Blogger.